Contact 1-800-450-5319 or fill out our form for information on auto transport services to Togo with A1 Overseas International! Get your FREE quote too! The transport process is best conducted with a reliable international auto shipping company. A1 Overseas International, an International auto transport organization, has the history and equipment necessary to carry out your vehicle shipping to Togo without any obstacles. Their professionals will be with you every step of the way. 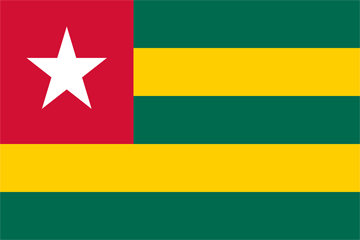 Since Togo rests near the coast of West Africa, the vehicle can be shipped overseas without worrying about transport from the seaport to a terminal in the country. Expect to pick the vehicle up at the seaport and make sure you are there when it arrives. The regulations for vehicle import in West Africa are also easier to comply with than in other parts of the continent. Secondhand vehicles will have very specific restrictions to comply with. These can be met with the assistance of A1 Overseas International. It’s great to have the professionals helping you meet the specifications in order to provide proof to Customs. Their experience makes the process of preparing for lawful import or export less time consuming. Call the Embassy of Togo to learn of the existing auto import policy in place. Call at least a couple months before the vehicle is anticipated to leave for Togo. This is usually enough time to get the proof you need for the import to be permitted by the country. Submit the form or call 1-800-450-5319 for more information and a FREE price quote on boat, motorcycle and car shipping!